I feel like I’m in a major recipe rut. I can’t decide what to make! I keep thinking about fun recipes I want to share and then going back and forth on whether or not to make them, what flavor to make them, or when to post. No bake desserts, dinner recipes, cookies, bars, cake…what should I make? I go back to an old standby recipe and make it new and fresh again. 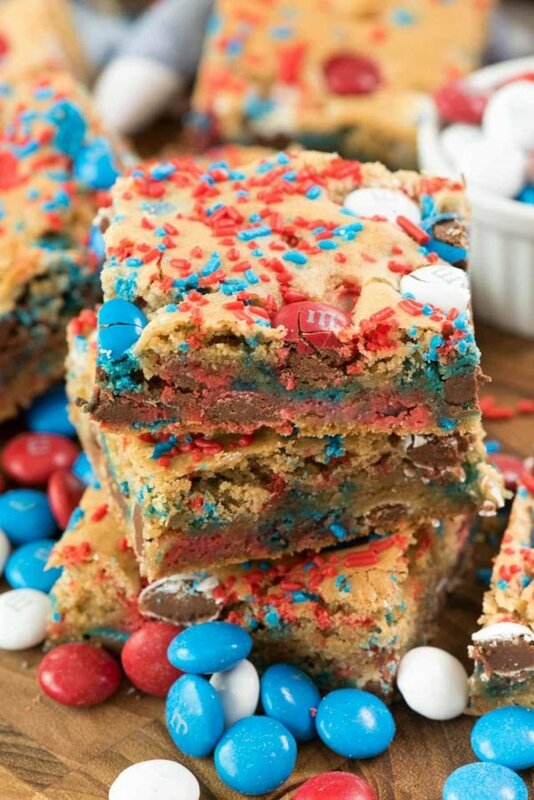 Can you guess which one I did to make these Fireworks Blondies? That’s right, the good old standby route. Take a recipe I love and make it new again. Enter: Fireworks recipes and Blondie recipes and marry them! 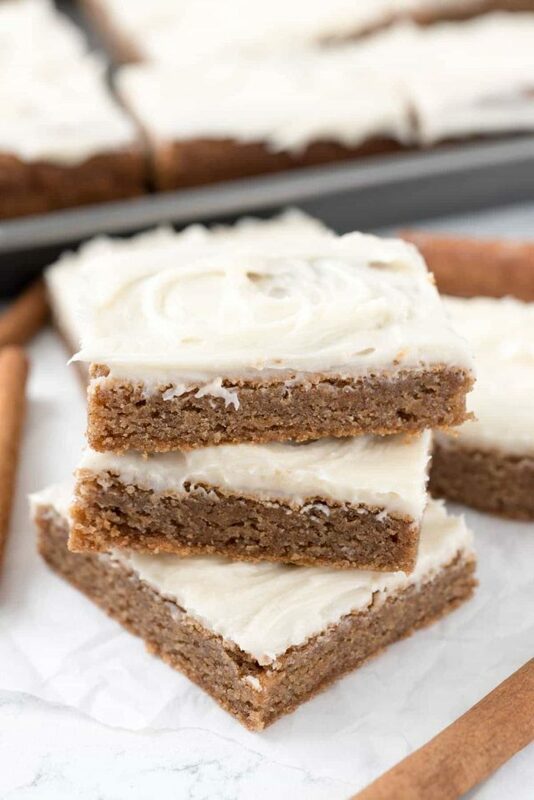 This blondie recipe is my FAVORITE cookie bar recipe – ever. I’ve made them with Milky Way candy bars, I’ve turned them into cinnamon rolls. 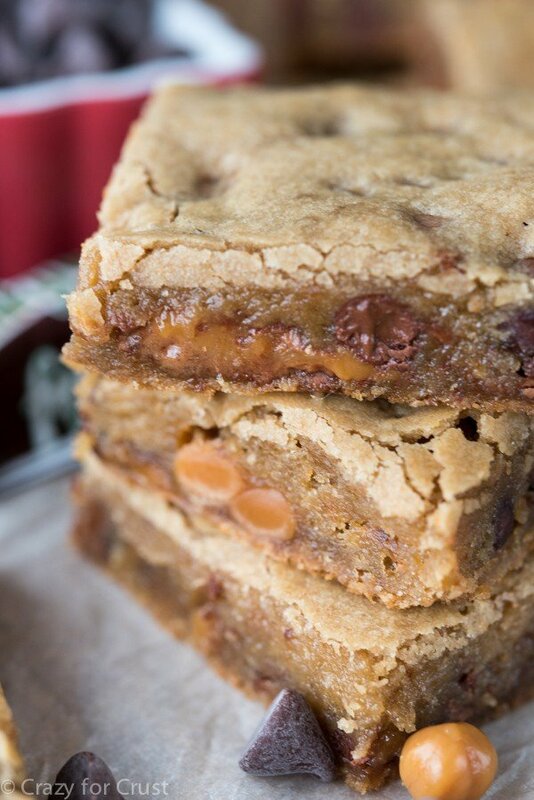 I’ve made them with peanut butter and stuffed them to make them gooey bars. I’ve made them s’mores and red velvet. Basically, this blondie recipe is the most perfect and best blondie recipe out there on the internet. Yeah, I’m going there. I’m proclaiming something “THE BEST ON THE INTERNET”. Why, you ask? Well, I think that 2 cups of brown sugar goes a long way in saying WHY these are the best. Plus, butter. And any mix-in you like…like 4th of July M&Ms and sprinkles. Heck, these blondies even lasted weeks in a care package and made there way all the way to Iraq to brighten a soldiers day. Hero blondies, if you ask me. Which is why turning them into FIREWORKS BLONDIES for the 4th of July seemed a natural choice. I tend to like turning recipes into fireworks with red, white, and blue M&Ms and sprinkles. I’ve done it with pudding cookies and sugar cookie cake…and now cookie bars! These are perfect for any 4th of July party. I love making no-bake desserts like Eclair Cakes and Lush for my 4th of July party, but really, everyone loves grab and go food. They want cookies and bars and grab and go food…and these blondies are PERFECT for that. Plus, the kids love them. Prepare for them to disappear FAST! 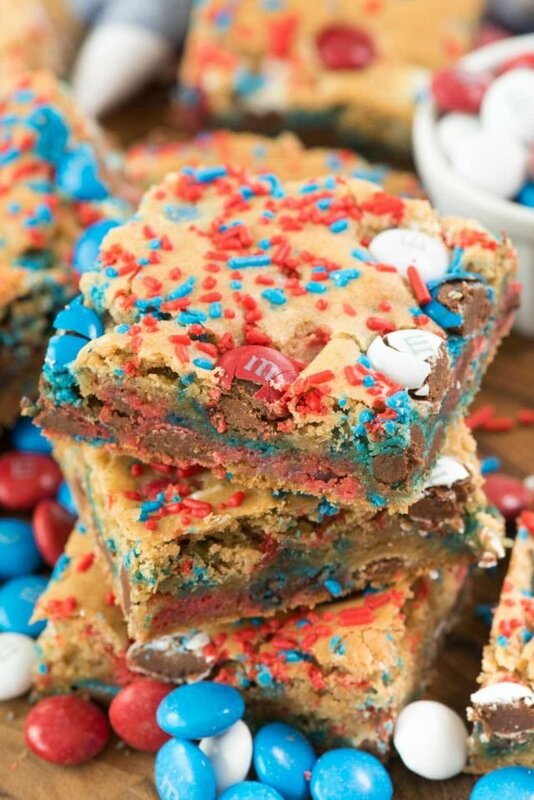 Fireworks Blondies - this EASY blondie recipe is the BEST EVER COOKIE BAR! 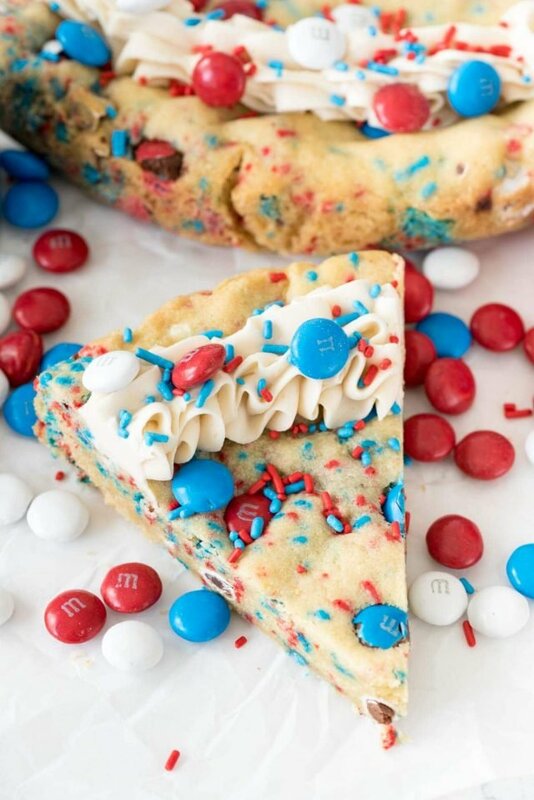 It's so soft and perfect with any additions, but especially with 4th of July M&Ms and sprinkles! Love 4th of July red, white, and blue food? Be sure to check out my Fireworks Pudding Cookies, Fireworks Sugar Cookie Cake, and Shortbread Cookies you could turn red, white, and blue! And be sure to check out some of my friend’s recipes that are perfect for the 4th: Fireworks Cake Roll by Big Bear’s Wife, Fireworks Sugar Cookie Pie by Wine & Glue, or Reese’s Firecracker Oreos by Sweet Basil. Is it the 4th yet?! I need an excuse to make these, like, now. Maybe a test run? That’s acceptable, right? These were totally awesome. Came out just like the picture! Chewy and delicious. Making them with regular m&ms and sprinkles for a work bday. Is it best to use a glass 9×13, or a metal 9×13 pan? I made these for my basketball tournament and they were a hit with everyone except one girl! (and that girl doesn’t like pizza, so her palate can’t be trusted). They could’ve had more flavor, but they had a great gooey texture and an overall caramel-y type thing going on. Very good!